Lonnie Dupre, polar explorer, begins his second attempt at summiting Denali in January. Poor weather delayed departure for two days. 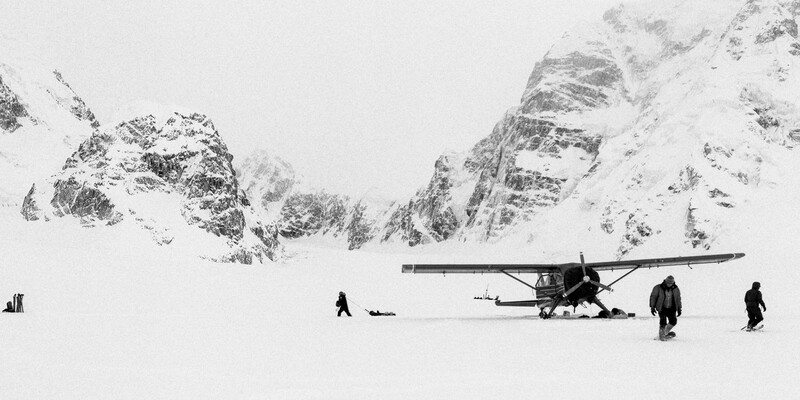 Flight from Talkeetna, Alaska to basecamp on Kahiltna Glacier of Denali took approximatily thirty minutes. Temperature at basecamp was -5F. Upon landing, we were greeted by Masatoshi Kuriaki. Known as Japanese Caribou, Masatoshi is attempting to summit Mount Hunter this winter.